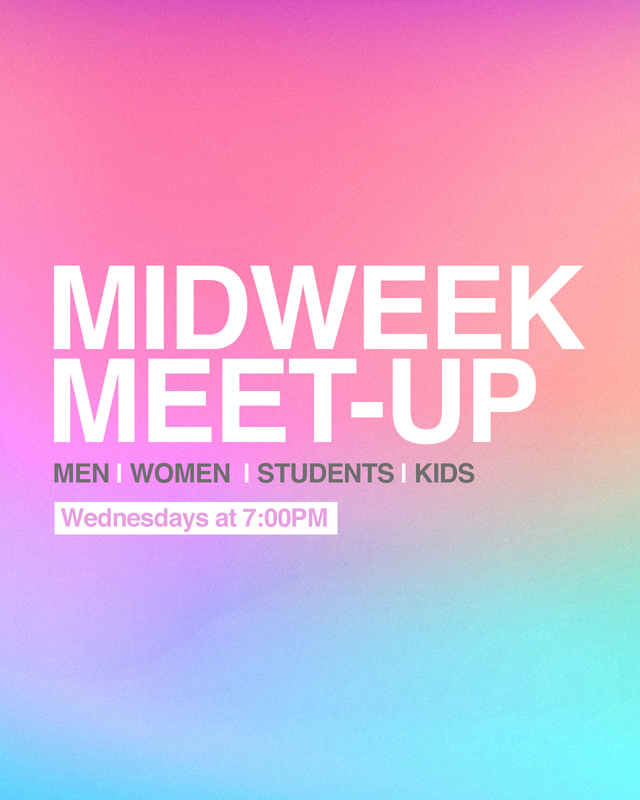 Midweek Meet-Up is the perfect place to connect relationally and grow spiritually. There’s something for everyone; Men, Women, Marrieds, no matter what age or stage of life you're in we have a great fit for you. This one hour gathering will leave you feeling refueled and refreshed until we see you Sunday! Please select your campus for more information.